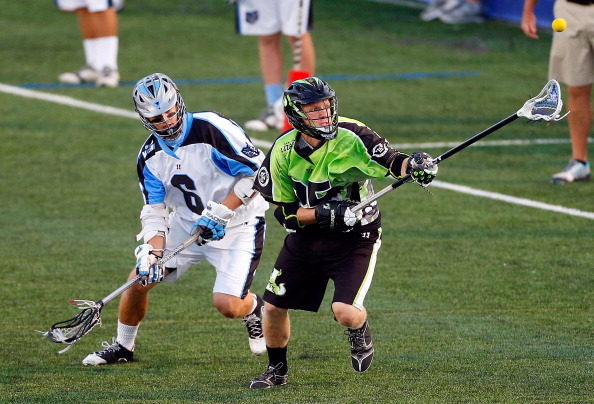 The New York Lizards (1-0) put together an eight-goal second half to take down the Ohio Machine (0-1), 14-11, in the first game of the 2015 season for both teams. Despite Peter Baum’s eight career regular season hat trick, the Machine faltered in the second half after jumping out to a 3-1 lead to open the game. Baum rung in three straight goals in the first half to lead the team in scoring on the day and reach this mark. New York spent the entire first-half chasing the Machine who wasted no time getting the season under way when Jake Bernhardt scored the first goal of the season off an assist from Baum. The Lizards took the lead for the first time at the 12:34 mark in the second quarter to make it 5-4. Tom Schreiber and Baum would fire in two straight goals for Ohio before New York would tie the game at six at halftime. New York turned up its defense in the second half, holding last season’s league-leading offense to just two goals. Scoring for Ohio in the second half was Steele Stanwick and Marcus Holman, the reigning league-leader in goals from a season ago. With an 8-8 tie in the middle of the third, the game looked as if it would go down to the final minutes, however the Lizards were able to slow down the Machine offense while speeding up their own. New York pulled away from Ohio for good with a 2-point goal giving the Lizards an 11-8 lead at the end of the third. This would be followed by three unanswered goals to close out the fourth quarter and finalize the New York victory. With the win, New York raises its all-time record against the Machine to 7-0 and remain undefeated in the series. The two teams will face again later in the season in Ohio on July 18. Ohio came out with high-energy and confidence after making the playoffs for the first time in franchise history last season and will look to avenge this early season loss and repeat for a second playoff appearance. Machine defenseman Brian Karalunas made his Machine debut facing his old team for the first time in the Blue and White. The Machine will be back in action on Sunday, April 19 at 1 p.m. when the team returns to Selby Stadium as the Denver Outlaws (0-1) come to town.